HL Washrooms are suppliers of specialist infection control taps from Delabie and Inta, designed for use in hospitals and healthcare environments, providing maximum tap hygiene for infection control. 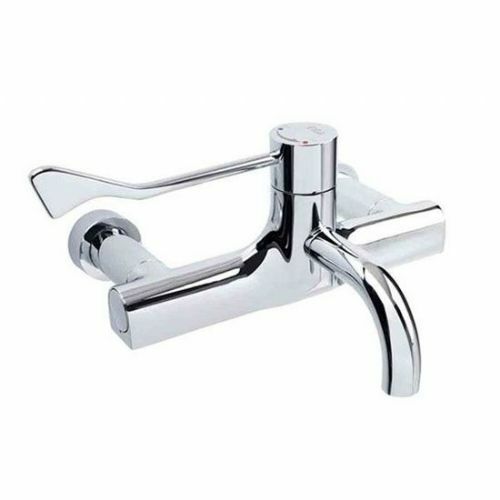 Hygiene control taps are designed to be removable, allowing for disinfection and sterilisation of the components, before being reinstalled and used again. Delabie's BIOSAFE spout design allows the spout to be independently removed and replaced. Alternatively, the spout can be replaced with a disposable plastic spout, which lasts for approximately 62 days. More information on the Delabie BIOSAFE range can be found here.